Dr. Abdul Ahad Guru was the first of three children. He was born into an entrepreneurial family from Jagir, a small hamlet outside the town of Sopore. Jagir is a small village on the banks of the confluence of Jehlum and Sind rivers, therefore bearing the name do-aab gah, or “joining of the two waters.” His father, the late Haji Abdul Satar Guru, educated himself despite leaving school at an early age. While maintaining his timber business, he spent the majority of his time reading the scholarly literature of Rumi, Hafez, Ghazali and Iqbal. He also educated his children, despite the trend of guiding children into business at the time. Our Scholars Program follows the professional and personal life of Dr. Abdul Ahad Guru. As a child, Dr. Guru once accompanied his mother to see a famous physician in Srinagar for a fee of 50 rupees. While waiting for the physician, his mother made him promise that if he became a physician, he would never charge a fee from poor patients. Dr. Guru grew up to be a trailblazer. He traveled to Bangalore for medical school, as Kashmir had no medical school of its own. He returned five years later after completing his MBBS. Instead of following the classic path of joining health services, he decided to pursue further training in general surgery. After working in Srinagar for several years, he again chose to follow his dream far beyond anything imaginable: he trained to become a Cardiovascular Surgeon. He went to AIIMS for Masters in Cardiothoracic Surgery and then further advanced his skills in United States of America. He completed a fellowship in Milwaukee, WI under the tutelage of Dudley Johnson and completed a short stint with Sambamurthy Subramanian, “Dr. Superman”, in Pediatric Cardiac Surgery at Children’s Hospital in Buffalo, NY in 1980. 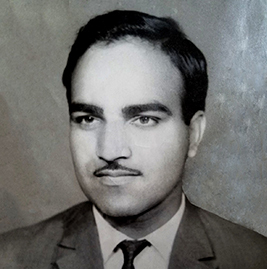 His travels and training around the world helped shape his career and develop the vision for training and programmatic future of modern surgical sciences in Kashmir.